Join Saint Mary’s College Alumnae and Friends as they celebrate their 175th anniversary with a pilgrimage to Le Mans, France, exploring the history of the Sisters of the Holy Cross. 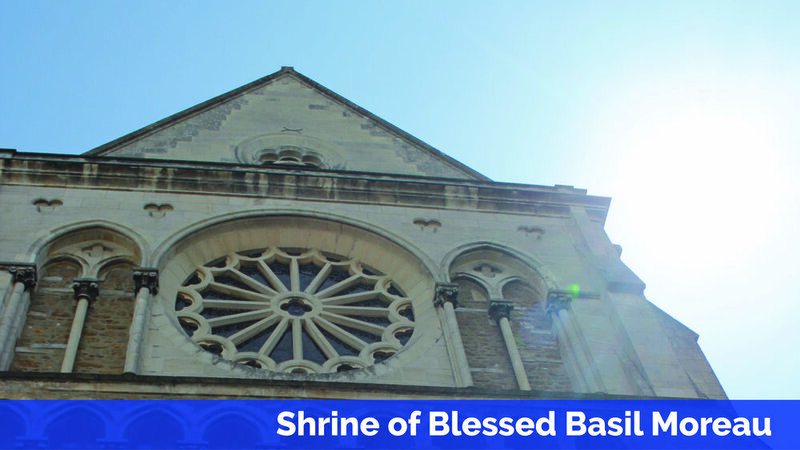 Discover the history of Holy Cross - Explore the city where the Congregation of Holy Cross first began as you pilgrimage to amazing sites such as the Shrine of Blessed Basil Moreau, the birthplaces of Moreau and Fr. Edward Sorin, La Grande Trappe, and much more! 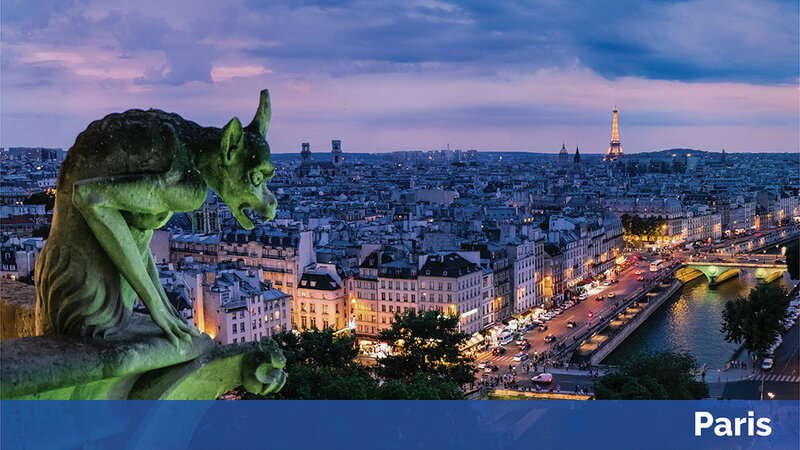 Explore the beauty of France - Walk the streets of Paris, pray in the renowned Chartres Cathedral, and savor the culinary delights of French cuisine. Connect with faith and friends - Expand your faith through prayerful reflection as you travel with alumnae and friends of Saint Mary’s College during this special 175th anniversary year. Day 2 - Sat., Oct. 19: (D)** Individuals gather at Paris (CDG) airport at noon. Then transfer to Le Mans and have lunch on your own in route. Celebrate an opening Mass and welcome dinner. Overnight in Le Mans. Day 3 - Sun., Oct. 20: (B, L) Mass and visit at the Shrine of Blessed Basil Moreau, with time to pray at the tomb of Blessed Basil Moreau. Lunch, then a tour of Old City Le Mans. Dinner on your own and overnight in Le Mans. Day 4 - Mon., Oct. 21: (B, L) Visit to Holy Cross Cemetary and Solitude of the Savior with the Marianite Sisters of Holy Cross followed by lunch. Then visit and Mass in Ahuillé (Fr. Edward Sorin’s birthplace), followed by visit to Montenay (Mother Mary’s birthplace). Dinner on your own and overnight in Le Mans. Day 5 - Tues., Oct. 22: (B, L, D) Mass in Laigné-en-Belin (Blessed Basil Moreau’s birthplace). Lunch followed by visit to Ruillé-sur-Loir (home of Fr. Jacques Dujarié). Dinner at local créperie and overnight in Le Mans. Day 6 - Wed., Oct. 23: (B, L) Mass and tour of La Grande Trappe, followed by lunch and Notre Dame de l’Habit. Dinner on your own and overnight in Le Mans. Day 7 - Thurs., Oct. 24: (B) Transfer to Chartres, Mass and tour of Cathedral. Lunch on your own, free time, and transfer to Paris. Then dinner on your own and overnight in Paris. Day 8 - Fri., Oct. 25: (B, D) Pilgrimage sites of Paris including: Notre Dame Cathedral, Saint Sulpice, Miraculous Medal Chapel, Sacré Coeur, and Montmartre. Farewell dinner and overnight in Paris. Day 10 - Sun., Oct. 27: (B, D) Free day to explore the city, with lunch on your own. We suggest exploring Paris highlights such as the Louvre, Musee d’Orsay, or Versailles. Farewell dinner and overnight in Paris. *This is a land-only package, meaning flights are not included in the package. If you wish, you may elect to include a quote for airfare as an option during registration. **(B,L,D) denotes meals (Breakfast, Lunch, Dinner) which are included in the pilgrimage package. Please note that this itinerary is tentative and subject to change. Save $300 by registering before the early-bird deadline and electing to pay by check! *Please note that the above prices do not include round-trip airfare. This is a “land-only” package, meaning flights are not included with the quoted prices, but flights are available as an optional add-on during registration. Pilgrims should plan to meet the group upon arrival at Paris (CDG) airport. Airfare rates and schedules will not be available until approximately 11 months prior to departure. Reminder invoices will be emailed in May 2019 for the final balance. The final payment may be paid by credit/debit card, electronic bank transfer, check, or money order. If you have any difficulties making a payment, please do not hesitate to contact us at (574) 383-9396 or email us at hello@versoministries.com. Late registrations made after June 18, 2019, are subject to availability and may be subject to a different pilgrimage price. Registrations made after this date also may be subject to an alternate pilgrimage cost depending on flight and hotel availability. Please contact us directly if you have any questions. 6 days or less no refund will be given. Any cancellation charges incurred from other supplies or vendors (flight, lodging, ground transportation, etc.) may come in addition to the administrative fees listed above. *Quoted prices are based on the current exchange rate of 1 Euro to 1.2 U.S. dollar. Final price may fluctuate based on final exchange rates when travel vendors finalize payments (typically between 30-90 days prior to departure}. Rates also assume a minimum of 20 full-paying pilgrims for the Core Pilgrimage and 5 full-paying pilgrims for the optional extension. Prices are based on the current (as of November 2018) exchange rate of 1 Euro to 1.2 U.S. dollar. Any drastic fluctuations in currency exchange rates could affect the final pilgrimage pricing.